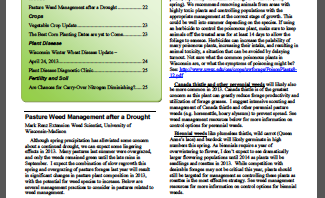 This is the 3rd issue of the 25th volume of the Wisconsin Crop Manager and is now available. Click on the link below to view this issue. This weeks articles compiled into a pdf.